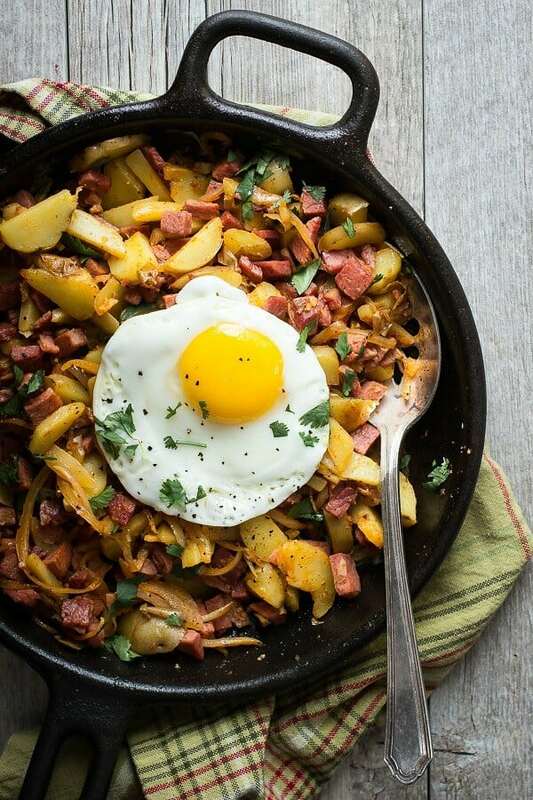 Cook your corned beef in the Instant Pot to make the most tender meal for St Patrick’s Day! 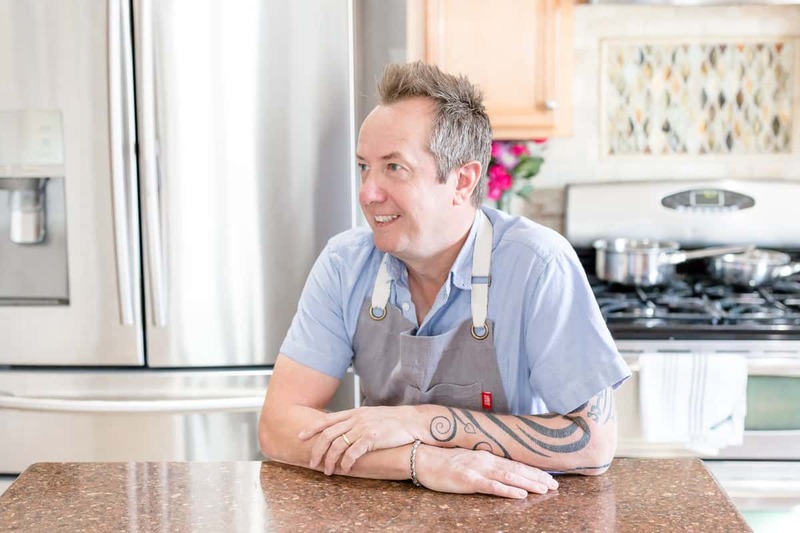 Pressure cooker or instant Pot, whatever you want to call them, you have to own one! Making large chunks of meat is the main reason I love mine because although it slashes the cooking time, it doesn’t mess with the flavor at all! With St Patrick’s Day around the corner you know you’re about to see corned beef everywhere! The family loves it but the long cooking time makes planning a late mid-week St Patrick’s day dinner a little tricky. It doesn’t have to be like that if you just chuck your corned beef right into the Instant Pot or pressure cooker because 90 minutes later you’ll have the most tender cut of corned beef ever! Corned beef is just brisket, the piece of meat from the front of the cow. 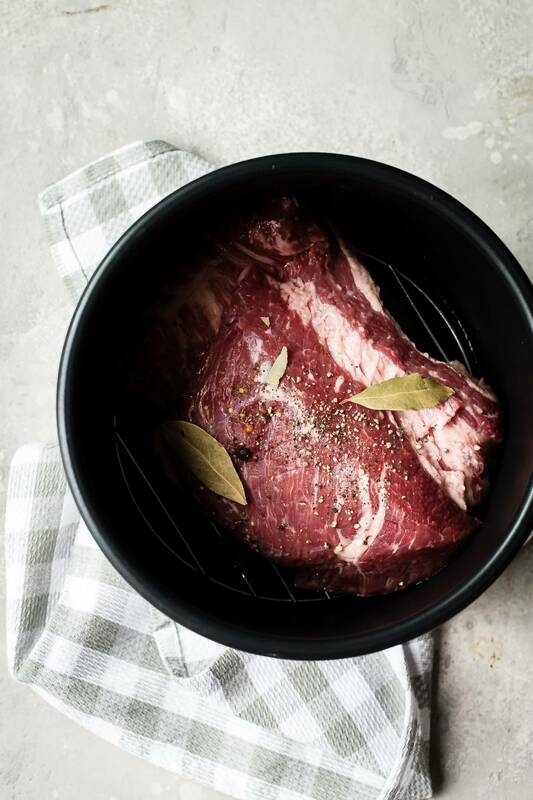 it’s a well-used muscle and can be quite fatty so that’s why brisket or corned beef has to be boiled or smoked for a long time to break down the connective tissue. Corned beef is also what gives us those amazing sky high Reuben sandwiches, but the brisket has to be smoked as opposed to boiling for corned beef. Do I need to add liquid to my corned beef Instant Pot recipe? Yes, you usually need to add at least a cup or two so that your cooker can create the pressure to cook. Water would work just fine but, let’s face it water isn’t exactly exciting and has no flavor. That’s why whenever I’m cooking and I find this situation come up, I prefer to at least use a broth or stock to replace the water. 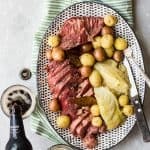 For this recipe I used Guinness giving the meat a light stout flavor, not strong at all but definitely better than it would have been with just plain water. What can I serve with my corned beef? The traditional sides are cabbage and potatoes and there’s no need to dirty any other pots or pans because once the corned beef is done, scoop it out, cover with foil and let rest while you add the cabbage and potatoes back into the pot for 10 minutes, It’s kinda like a “Hey Presto” moment! Does corned beef need gravy on the side? I would say to skip the regular brown gravy and make this white whiskey mustard sauce. 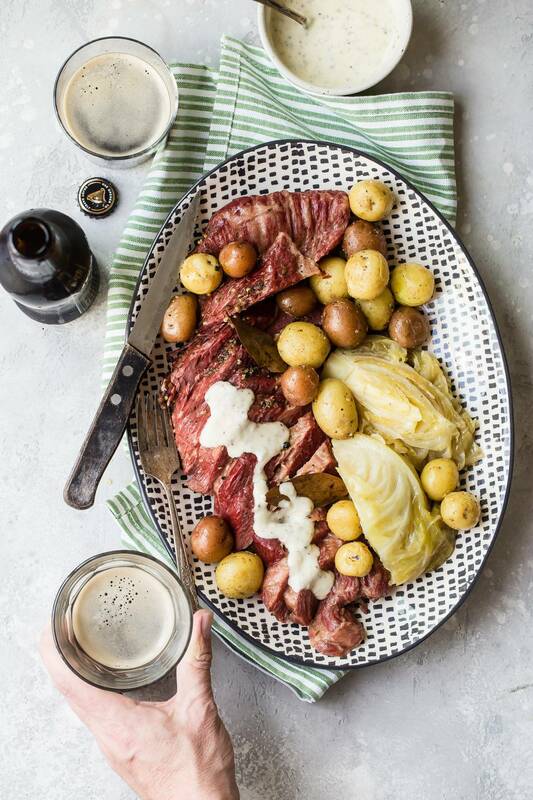 Mustard is a great condiment for corned beef and Irish whiskey is another reason to celebrate St Patrick’s day so why not combine the two? Your corned beef will shrink a little throughout the cooking process so be mindful if you’re feeding a large crowd. I went with a piece that was almost three pounds and it was perfect for two adults and two kids. If you have any corned beef leftover, keep it in a sealed Tupperware in the fridge until you need to make some ultimate corned beef sandwiches for lunch the next day! 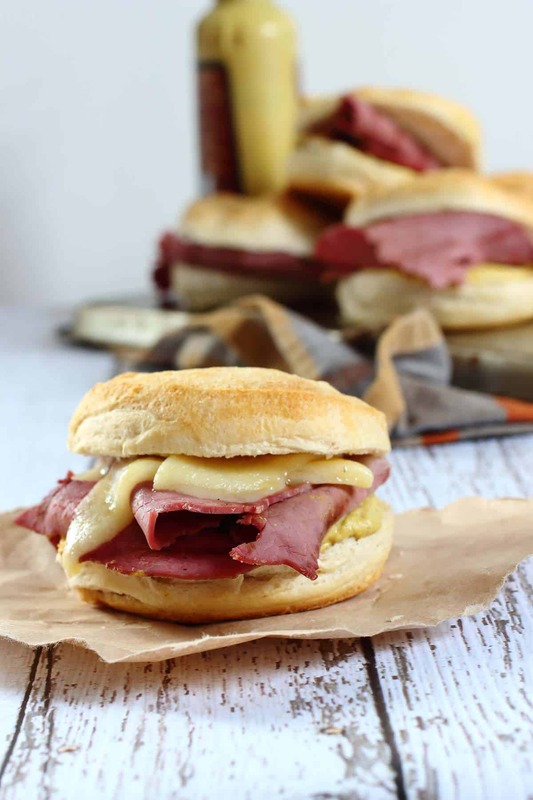 Check out these other corned beef recipes you might like and tag me @foodnessgracious if you make them. I love to see what you guys are up to! 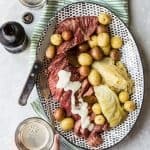 Tender corned beef cooked in the Instant Pot and served with cabbage, potatoes and a rich mustard and whiskey cream sauce. Take the corned beef from its package and rinse it quickly under cold water then pat dry with paper towels. Add the Guinness and beef stock to the Instant pot or pressure cooker and place the corned beef onto the wire rack. Place the lid on the pot and lock in place. Using the meat button set on high for 1 hour and 25 minutes. While the meat is cooking make the sauce by melting the butter in an 8-10 inch non stick pan. Add the flour and whisk until well mixed. Add the whiskey and keep whisking until the mixture is smooth. Begin adding the milk gradually whisking after each time to prevent any lumps forming. Once all of the milk has been added and the sauce coats the back of a spoon, add the mustard and season with salt and black pepper if needed. Once the corned beef is done and is fork tender, transfer it to a plate and cover with foil. Cut the cabbage head into four wedges and place into the Instant Pot along with the baby potatoes. Set on high for 10-15 minutes and cook until soft. 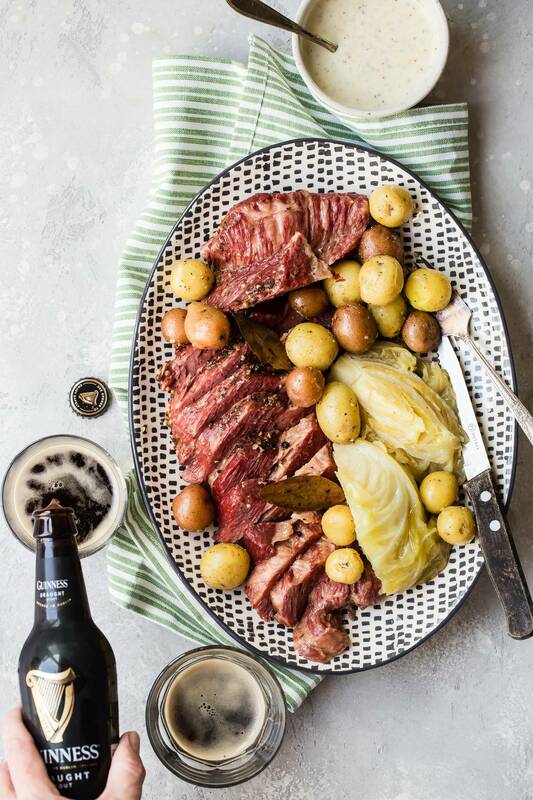 Slice the corned beef and serve with the cabbage, potatoes and some of the mustard whiskey sauce. Loved this take on corned beef and cabbage, thanks! Hi Kayla- thanks and glad you liked it! !